This is an unusual one for us to promote as it’s rather a business-ey thing – but we love the possibility that people can take something creative that they love and turn it into a business. So if you are a young designer/maker of anything that could be turned into a product to sell at a stylish market this festive season, roll up, roll up and apply to have a FREE stall at one of South London’s finest festive retail experiences and get a load of mentoring including brand and product development, marketing, finance and trading skills. We’re also enjoying the punning in the title… Pitch for your free market pitch! This is also a great way for us to introduce you to somewhereto_ and Livity, in case you haven’t come across them already! 2 amazing organisations to keep an eye on. somewhereto_ is a Big Lottery-funded programme that helps young people, ages 16-25, find space to do the things they love for free. somewhereto_ was created by Livity, a youth engagement agency that works with young people to co-create and execute engaging campaigns with big brands and communities. Their clients get uniquely deep youth insights and a precious pool of young talent, energy and ideas. Young people who come through their doors get training, equipment, support and opportunities to build brighter futures. Level of Experience Required: You need to have an idea / a product that you already make or are ready to make in bulk to sell at the market on 7&8 Dec. So you’ll already have creative making skills and/or the beginnings of a business plan. Suitable for emerging traders and creative makers at the start of their careers or who are looking to raise the profile of their young business and gain experience in the market place. Project Description/Aims: The selected young business brand will be given whole heap of mentoring sessions on business development, price points, supply chains, market trading and presentation, as well as other pertinent topics, from the Pexmas crew, established traders and retail brands/designers/business folk. The young person will be given a free stall at Pexmas Christmas Market where they will be exposed to heavy footfall and a ready crowd clamouring to take advantage of their products during the holiday season. Further mentoring is available after the market with a successful business bod relevant to the winning young entrepreneur! Project Dates and Times: If you are successful in applying to pitch for the programme, you will be asked to go and pitch in person on Monday 11th Nov. You’ll know if you’ve won the full opportunity on 12th Nov and mentoring meetings with the team will take place on Mondays: 18th, 25th Nov, 2nd Dec and one monday following the live market, which takes place on 7&8 Dec – applicants must be able to staff a stall all weekend, full days into the evening on Saturday. Further mentoring beyond this period to be agreed with the successful applicant and relevant mentor in due course. 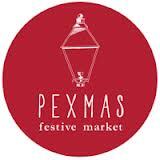 Pexmas Market to be held in Peckham on 7&8th Dec – venue to be annouced this week! Deadline: Apply by Thursday 7th November, you’ll hear back on Friday 8th if you have a slot to come and pitch on Monday 11th. Website: Pexmas info here! And click to find out more about somewhereto_ and Livity!